The U.S. District Court for the Southern District of New York has ruled, in a Hurricane Sandy case, that a flood coverage deductible was $19.2 million, as insurers contended, and not $100,000, as the insured argued. 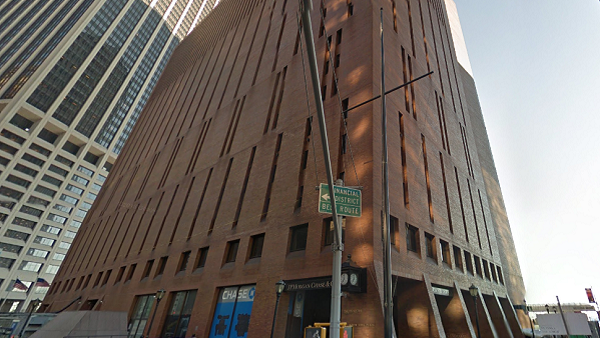 On May 22, 2012, 4 NYP Ventures LLC acquired 4 New York Plaza, the court explained. In anticipation of that transaction closing, it earlier hired CBRE Group Inc., to manage the property and Edge Financial Advisors to obtain property insurance. 4 NYP’s lender required $100 million in flood loss coverage for the property. To that end, 4 NYP directed Edge to initiate procedures to add the property as an insured location under CBRE’s preexisting master property insurance policy (FM Master Policy) with Factory Mutual Insurance Co. (FM), which covered hundreds of CBRE-managed properties. On April 26, 2012, approximately four weeks before 4 NYP’s acquisition, Edge sent an email to CBRE requesting that the property be added to the FM Master Policy. CBRE referred the request to Aon Risk Services Northeast; thereafter, Aon communicated directly with Edge. The next day, Aon sent a revised quote that set the property value at $384.2 million, consisting of $355.2 million in replacement value and $29 million in 12-month income. Edge (on 4 NYP’s behalf) accepted the quoted terms and, on May 17, 2012, Aon sent Edge a certificate of insurance, confirming that the property was added to the FM Master Policy, effective May 22, 2012. 4 NYP did not receive (and did not request) a copy of the FM Master Policy until after Hurricane Sandy. Because FM was willing to provide only $20 million in flood coverage, Edge sought to purchase an additional $80 million in flood coverage to satisfy the $100 million requirement set by 4 NYP’s lender. Edge asked Aon to assist it in making these purchases. Aon obtained $30 million in flood coverage, in excess of the FM Master Policy coverage, from several non-party insurers (First-Layer Excess Insurers). Aon obtained the final $50 million in flood coverage, in excess of the FM Master Policy and First-Layer Excess Insurers’ coverage, from Aspen Specialty Insurance Co., Landmark American Insurance Co., and Lloyds (Second-Layer Excess Insurers); Aspen’s policy covered $15 million, Landmark’s policy covered $25 million and Lloyds’ policy covered $10 million. This excess policy will require the primary to have at a minimum the following: 5.00% Per Occurrence (Property Damage & Time Element). The same day, Edge notified Aon to “bind as of May 22, 2012.” The excess insurance policies were issued, effective May 22, 2012. 4 NYP did not receive (and did not request) the excess insurance policies until after Hurricane Sandy. On Aug. 17, 2012, FM issued General Change Endorsements No. 4 (GCE 4), which added 4 New York Plaza to the Schedule of Locations, effective May 22, 2012. It also added 4 New York Plaza to Appendix F and provided that the flood coverage limit for the property was $20 million (both effective May 22, 2012). The same day, FM sent a copy of GCE 4 to Aon. FM did not send or provide notice of GCE 4 to CBRE, 4 NYP, Aspen or Landmark prior to Hurricane Sandy. On Oct. 30, 2012, 4 NYP notified CBRE and Aon of its Hurricane Sandy claim. As of Sept. 12, 2014, 4 NYP claimed $146,609,202 in losses. In August 2013, Aspen and Landmark prepared an adjusted claim of $79,515,518. 4 NYP collected $79.5 million. FM paid $20 million, its limit under the FM Master Policy. The First-Layer Excess Insurers paid $30 million, their limit under the First-Layer Excess policies. The Second-Layer Excess Insurers, including Aspen and Landmark, paid $29.5 million of their $50 million in coverage. 4 NYP sought the remaining $20.5 million from the Second-Layer Excess Insurers. After litigation ensued, the parties cross-moved for summary judgment. The dispute centered on the applicable deductible for flood coverage under the FM Master Policy and, as a result, the threshold level of losses at which Aspen and Landmark were liable under their excess policies. The insurers contended that, because FM added the property to a list of “High Hazard Flood Locations,” a deductible of 5% of the property’s value (here, $19.2 million) applied. 4 NYP disagreed, contending that the deductible was at most $100,000. Property Damage—5% of the value, per the VALUATION clause of the LOSS ADJUSTMENT AND SETTLEMENT section, of the property insured at the Location where the physical damage occurred, per Location. Time Element—5% of the full Time Element values that would have been earned in the 12 month period following the Occurrence by use of the facilities at the Location where the physical damage occurred and that proportion of the full Time Element values at all other Locations where TIME ELEMENT loss ensues that was directly affected by use of such facilities and that would have been earned in the 12 month period following the Occurrence, per Location. The above Flood deductibles are subject to a minimum deductible of USD100,000 for Property Damage and Time Element combined, per Location. The court granted summary judgment in favor of Aspen and Landmark, holding that the applicable flood coverage deductible was $19.2 million, as they contended, and rejecting 4 NYP’s contention that the deductible was $100,000. It found that FM had properly issued GCE 4, which added the property to the Schedule of Locations and to Appendix F, both retroactive to the date 4 NYP agreed to coverage. Because the property was added to Appendix F, the 5% flood deductible provision applied, the court decided. And because the quote that 4 NYP agreed to provided for a combined property value plus time element of $384.2 million, the deductible was $19.2 million. Interpreting the FM Master Policy to impose a $19.2 million deductible resulted in illusory coverage. The case is Aspen Specialty Ins. Co. v. 4 NYP Ventures LLC, No. 13 Civ. 3367 (PAC) (S.D.N.Y. Feb. 25, 2016).